Listen, we just finished screaming at the television! The 61st Annual Grammy Awards just pulled a fast one on everybody at the Staples Center and millions watching at home. FLOTUS Michelle Obama popped on stage after host Alicia Keys welcomed her to the stage. "So can i bring some of my sisters out here tonight?," Alicia asked the audience. Taking a break from her blockbuster promotional tour for her memoir "Becoming," FLOTUS graced the stage. 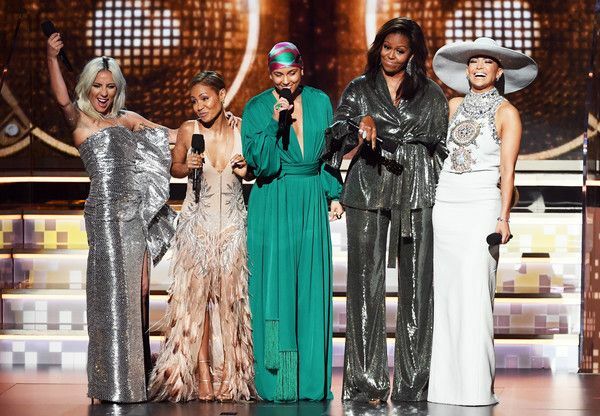 The 55-year-old baddie, who looked STUNNING in a sequined Sachin & Babi set, appeared onstage alongside Jada Pinkett Smith, Jennifer Lopez and Lady Gaga to welcome everyone to this year's ceremony. Alicia personally invited her friend, Mrs. Obama, to the show and she made it happen. 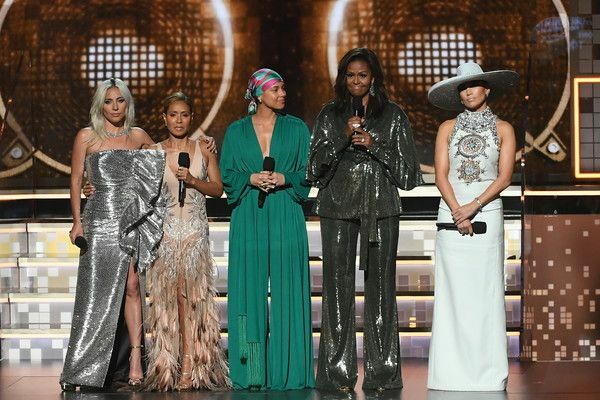 "From the Motown records I wore out on the Southside to the 'Who Run the World' songs that fueled me through this last decade, music has always helped me tell my story," FLOTUS said. "Music helps us share ourselves, our dignity and sorrows, our hopes, our joys. Music shows us that all of it matters." She continued, "It allows us to hear one another, to invite each other in. Music shows us that all of it matters, every story within every voice, every note within every song. Is that right ladies?" It appears the Grammys were listening. 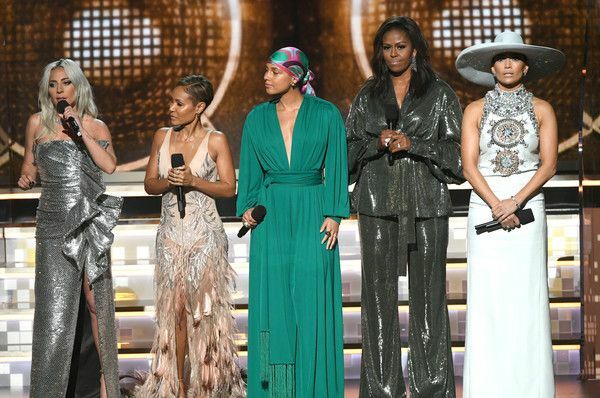 Last year, Grammy Award president Neil Portnow received backlash after he said female musicians should "step up" to improve the gender representation at the Grammys. Maybe this is his way of saying "Sorry."